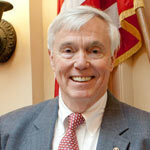 Virginia legislature denies 400,000 access to health care. Again. 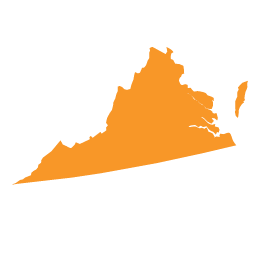 This is everything ugly about politics: backroom dealings and greedy politicians attempting to line their own pockets while 400,000 Virginians go without health care that wouldn’t cost the state a dime. With more than 640,000 uninsured people, a legislature controlled by anti-women’s health politicians, and two infamous opponents of Obamacare--Mitch McConnell and Rand Paul--representing the state in the U.S. Senate, getting access to affordable health care in Kentucky may not seem like a cake walk. But things are starting to look up for the state. Why? 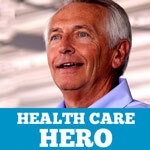 Because Health Care Hero, Kentucky Governor Steve Beshear managed to accept Medicaid Expansion for the benefit of his state’s residents. 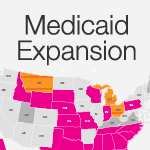 Great news in Ohio: Governor John Kasich is the 25th governor to make the decision to expand Medicaid in his state—making coverage available to an additional 275,000 low-income Ohioans who need it. Better yet, Governor Kasich is the latest of several Republican governors who have decided to do what's best for their constituents, rather than toe a political party line. Medicaid Expansion Is a Good Decision — and Michigan Agrees! 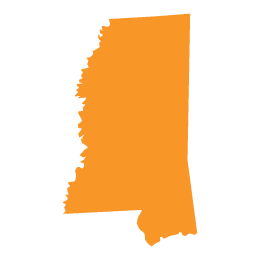 As part of Obamacare, all states have the option to expand Medicaid with the federal government financing almost all of the costs of covering newly eligible individuals. If the states accept those federal funds, they will not have to pay anything for the first three years, and even after that, they will pay only a fraction of the costs to cover hardworking families. Missouri State Representative Paul Wieland (R-Imperial) recently filed a federal lawsuit suit asking the court to declare the mandate for contraception coverage in Obamacare unconstitutional. More specifically, he’s looking for a personal exemption for his family (the fact that Wieland is a man, who would probably find little use for birth control, is apparently beside the point).